Global internet giants Amazon, Facebook and Uber took strategic steps this week to expand their India presence. 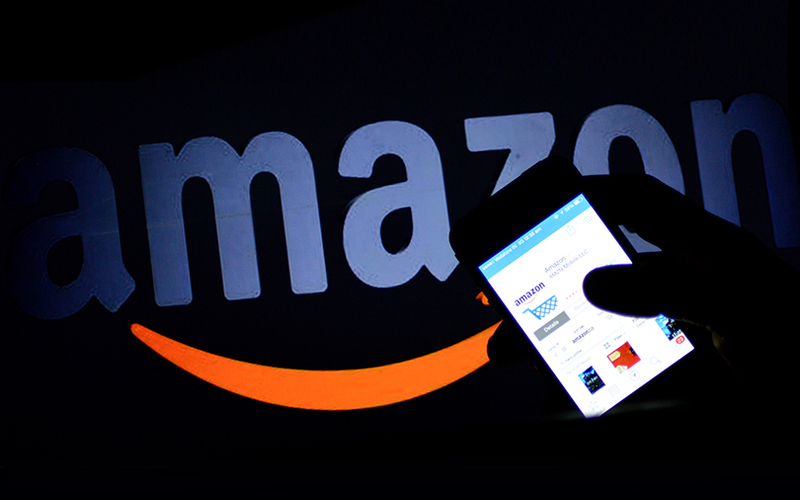 Amazon pumped in more money into its local arm while Uber is testing offline booking and a light version of its app to reach out to customers who don’t have smartphones and internet connectivity. Facebook, meanwhile, is piloting a marketplace in the country. In other developments, Flipkart could soon potentially make a strategic investment in Swiggy, the first such move after the mega fundraising that put the e-commerce market leader on a strong footing. US-based Ebix is laying ground for an ambitious end-to-end fintech play with six strategic deals in as many months. Swiggy, Shadowfax and Coverfox reported steady growth in revenue in 2016-17. BSE-listed internet firms Infibeam and BharatMatrimony registered profit and revenue growth in the June-September quarter. Amazon has pumped in an additional $446 million into its main India arm and is determined to invest more as it nearly doubled the authorised share capital from $2.4 billion to $4.7 billion, VCCircle reported, citing regulatory disclosures. Previously, Amazon Seller Services Pvt. Ltd had received capital infusion of $250 million in October and $260 million in July. The fresh round of $446 million has taken the total investment in the Indian entity to an estimated $956 million in 2017 alone. “As India’s largest and fastest growing ecommerce player, and with a long-term commitment to make ecommerce a habit for Indian customers, we continue to invest in the necessary technology and infrastructure to grow the entire ecosystem,” an Amazon India spokesperson said in an e-mailed response to VCCircle. This would mean the Indian market would see aggressive expansion activity in the short term by both Amazon and its homegrown rival Flipkart, which raised nearly $4 billion this year from SoftBank, Tencent, eBay and Microsoft. Flush with funds, Flipkart is seen as scouting for strategic acquisitions and investments with a view to rapidly expanding its turf as it is still early days for e-commerce in India. The company is rumoured to have looked at buying out or picking up a stake in UrbanClap, Urban Ladder, Swiggy, Pepperfry and BookMyShow. According to a report in The Ken, Flipkart is closing in on a $50 million investment in food delivery platform Swiggy. Citing unnamed sources, it said that Chinese Internet conglomerate Tencent is also likely to make an investment, taking the total to $100 million. These potential investments in Swiggy by big strategic backers could change the contours of online food ordering segment as its main rival Zomato is said to be in talks with Alibaba for a sizable investment. Interestingly, there was a report a few weeks earlier that Swiggy and Zomato had explored a merger. Cab-hailing firm Uber Technologies Inc. is testing a number of features for emerging markets like India, as it looks to win potential customers who are either offline or have slow Internet connectivity. The company has rolled out a light, web-based version of its mobile app for users with basic smartphones, besides enabling booking on desktops and tablets. It is piloting three other features, namely, offline search, remote booking for non-users, and a ‘call-to-ride’ option where users can call a cab based on a number and code displayed at popular locations. While the web version of the app has been released in India, the call-to-ride feature is being piloted in Pune. Offline search and remote booking features are likely to be launched in the next few weeks. Meanwhile, Facebook is piloting its marketplace in India. Initially, this would be for a short duration in places such as Mumbai to see the market reaction. Hike Pvt. Ltd, the messaging app operator that touched $1.4 billion in valuation last year, has a problem—it has no revenue to show. Filings with the Registrar of Companies show that the five-year-old firm was back to square one in the financial year ended March 2017, after managing to clock its first-ever operating revenue of Rs 42.32 lakh in the previous year. To be sure, the instant messaging app hadn’t come up with a significant or scalable revenue stream in 2015-16—coupons that users bought to play in-app games accounted for almost all the operating revenue. Total income for 2016-17 more than halved to Rs 11.4 crore from Rs 34.9 crore, which had come on the back of profit from sale of investments. Tech startups in food delivery, logistics and financial services such as Swiggy, Shadowfax and Coverfox recently released their annual financial results for the previous year and showed strong revenue growth. Bundl Technologies Pvt. Ltd, which runs food delivery app Swiggy, clocked revenue of Rs 133 crore in the financial year ended March 2017, up over six-fold from Rs 20 crore in the previous year, show the company’s filings with the Registrar of Companies (RoC). Losses, however, widened to Rs 205 crore from Rs 137 crore. Bangalore-based Shadowfax Technologies Pvt. Ltd, which runs an eponymous business-to-business (B2B) logistics startup, posted gross revenue of Rs 34.07 crore for the year through March 2017, up more than three times from Rs 9.8 crore the year before. Mumbai-based Coverfox Insurance Broking Pvt. Ltd, operator of an eponymous online insurance brokerage, doubled its revenue in the year through March and shrank its loss after managing to control costs. Gross revenue for 2016-17 jumped to Rs 6.12 crore from Rs 2.64 crore the year before. Net loss narrowed to Rs 31.85 crore from Rs 35.07 crore. Infibeam Incorporation Ltd, the publicly listed e-commerce firm which runs a clutch of businesses including online retail as well as builds and manages online stores for scores of merchants, reported a 72% rise in consolidated revenue at Rs 204.75 crore for the quarter ended 30 September against Rs 119.22 crore a year ealrier. Its profit more than doubled to Rs 28.9 crore in the latest quarter from Rs 13.63 crore. Matrimony.com Ltd, which owns online match-making firm BharatMatrimony, reported a consolidated net profit of Rs 19.16 crore for the quarter ended September, up 64% from Rs 11.69 crore a year earlier. Consolidated revenue came in at Rs 83.7 crore, 13% higher than Rs 73.61 crore in the same quarter last year, the company said. US-based software and e-commerce services firm Ebix Inc. has formed a joint venture with Kanoria Foundation’s BPO business Vara Technologies. Ebix will pick up a 50% stake in the JV, which will be known as Vara-Ebix. Indian-American entrepreneur Robin Raina-led Ebix has been laying ground for an ambitious end-to-end fintech play in India with a fast-paced inorganic expansion drive in India ever since it bought an 80% stake in digital payment firm ItzCash for $120 million. It also bought the international remittance business of Paul Merchant, YouFirst Money and Wall Street Finance’s subsidiaries. Recently, Ebix acquired online-offline travel agency Via.com. The deal with Vara will help Ebix expand its presence to the IT and BPO services catering to the banking, financial services and insurance sectors. Vara provides IT and BPO services to Indian financial entities. It has an annual revenue run rate of around $31 million and 3,300 employees. Ebix’s moves will potentially place it in direct competition with Alibaba- and SoftBank-backed Paytm, which has established its leadership in mobile wallet, set up a payment bank and e-marketplace.